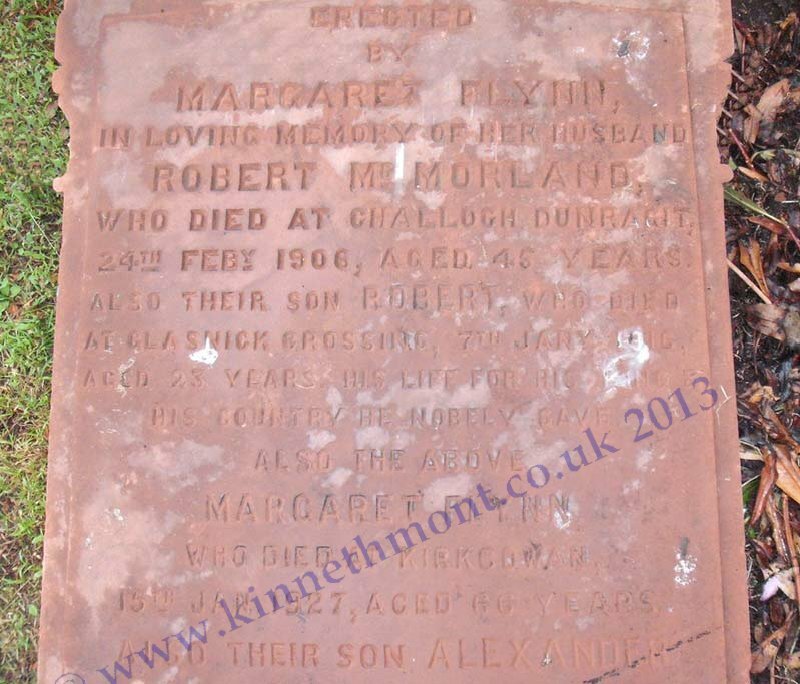 Son of Robert and Margaret Morlan of Glasnick Crossing, Kirkcowan, Wigtownshire. 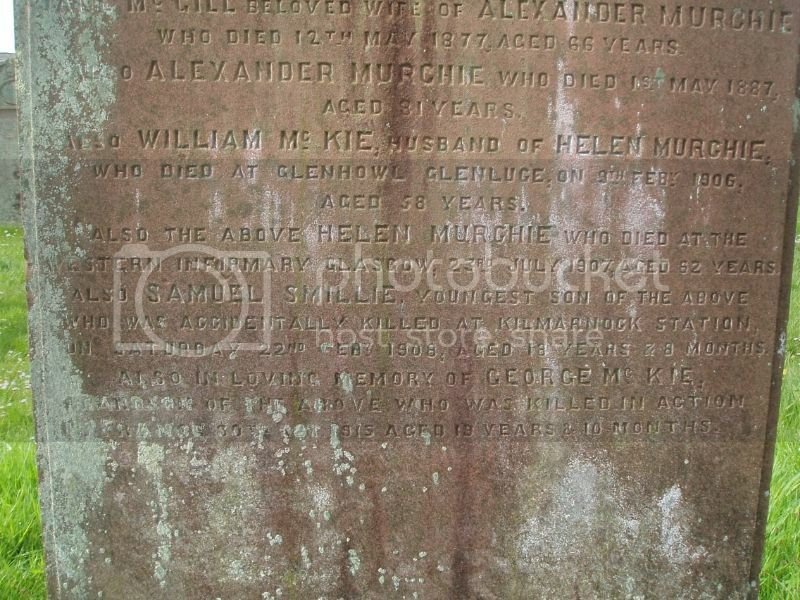 Additional Information: Nephew of Miss Jeanie McKie, of Low Glasnick, Kirkcowan, Wigtownshire. 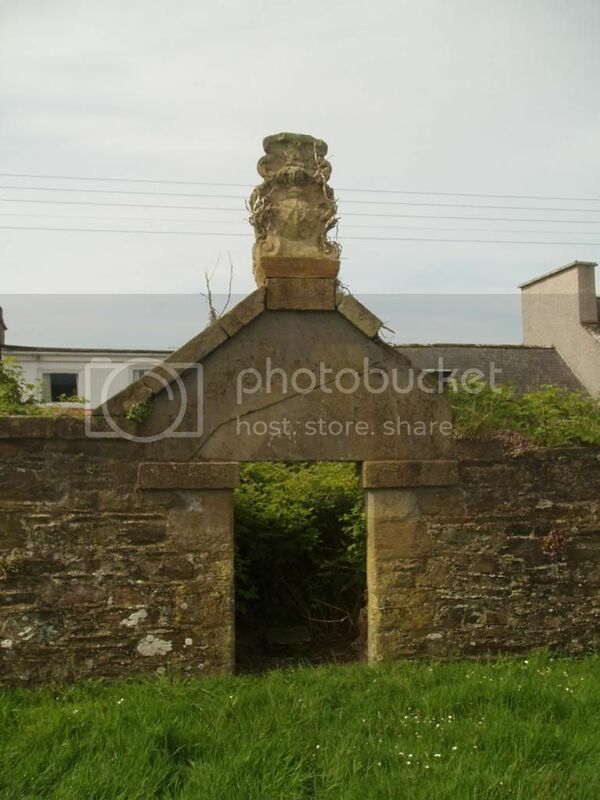 Native of Culscadden, Garlieston, Wigtownshire. 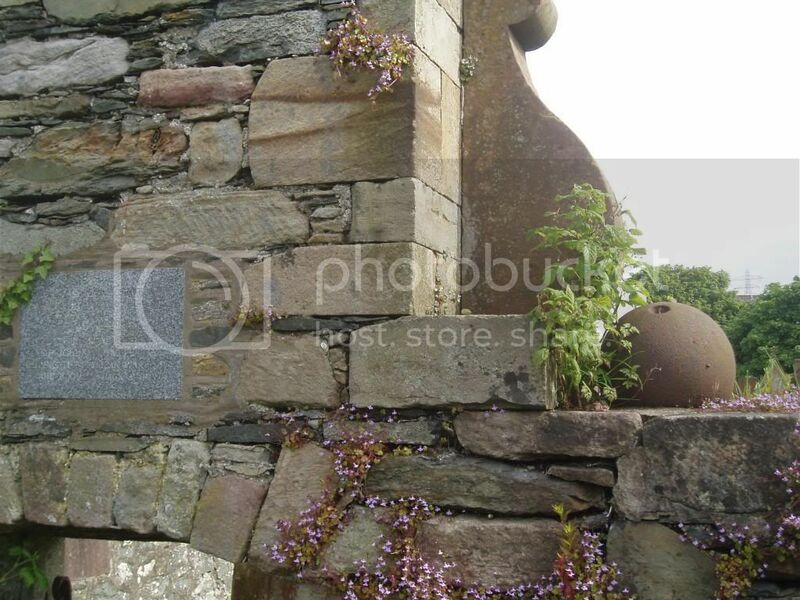 (above the burial place, a whinstone lintel built above the doorway with the armorial crest above it, very much worn). 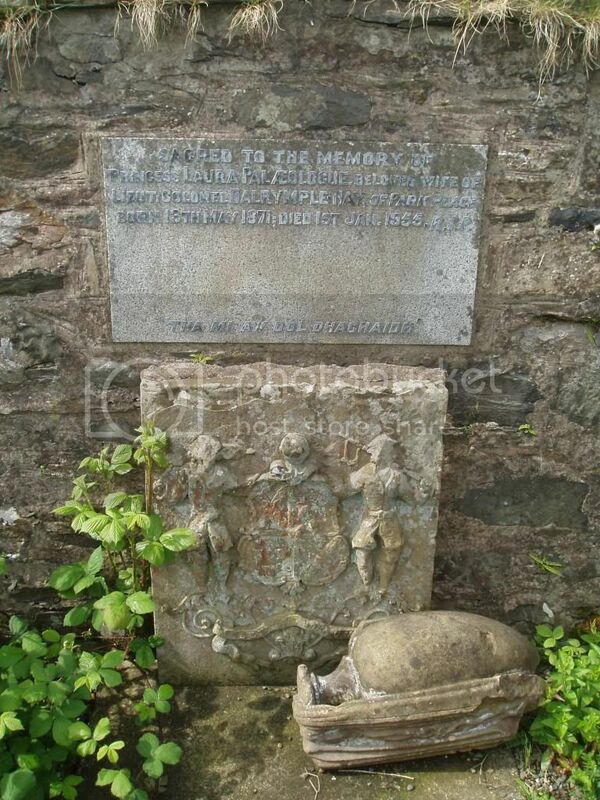 This tomb was erected by Doctor James Dalrymple and Grace McDowall his spouse. Here are buried Margaret Blair his mother who died the 24th Aprile 1748 aged 75. 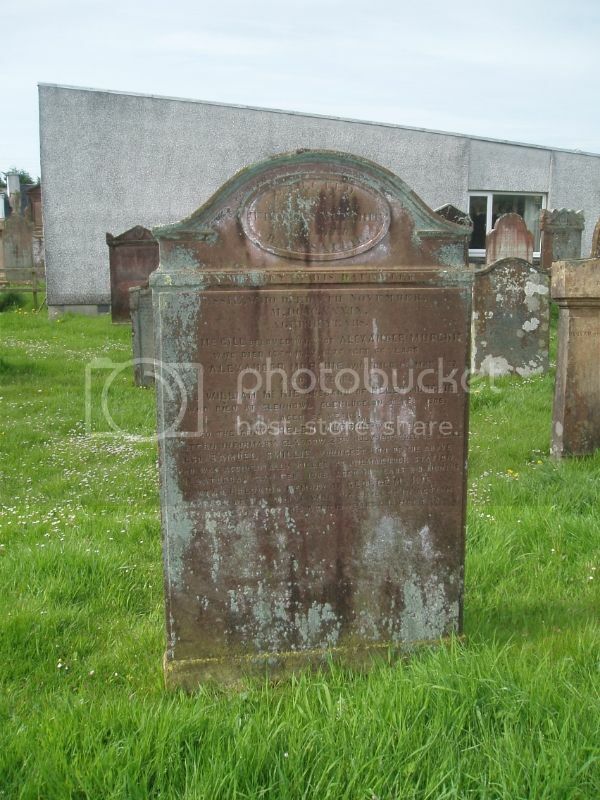 And James, Betty, Peggy and Mary D their children who died the 15th and 25th June, 4th and 10th July 1746 in the 4th, 5th, 7th and 3rd year of their age. The Lord giveth and the Lord taketh away. Blessed be the name of the Lord. Our birth is nothing but our death began, as ________ waste that infant they take first. One lye on Death and one full _____ on heaven becomes a mortall and immortal man. This family originally buried at Soulseat. 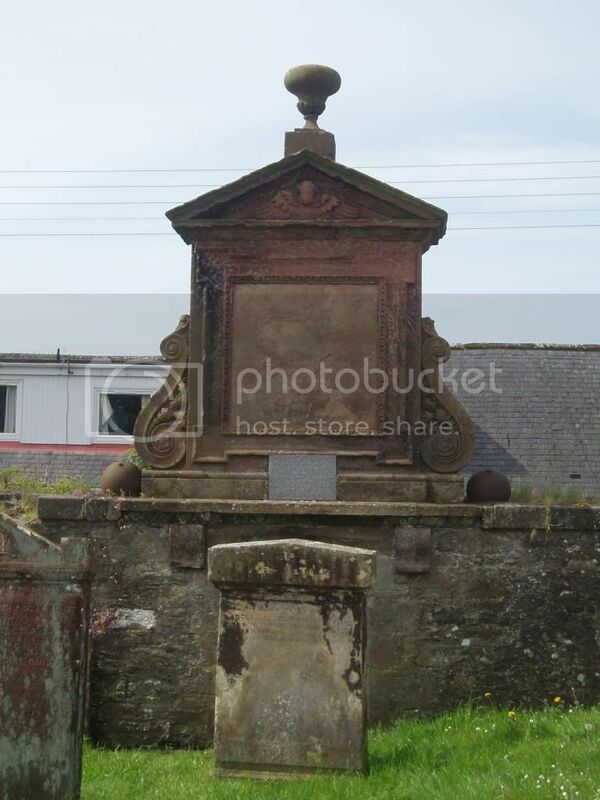 His only brother Captain John Dalrymple who was killed at the Battle of Falkirk on 17th Jany 1746 in the 36th year of his age lies there. 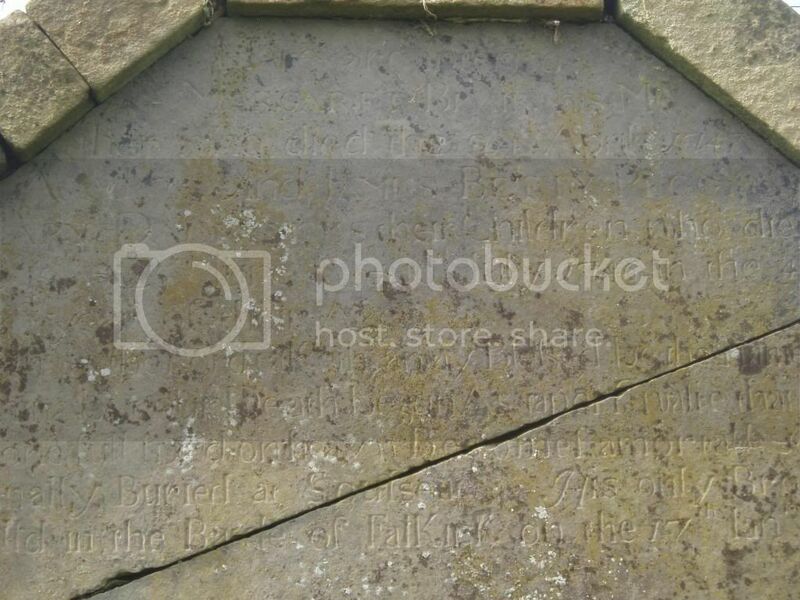 (above the doorway of the burial place a worn sandstone panel with a ball on top, above the lintel: granite plaque above the entrance). 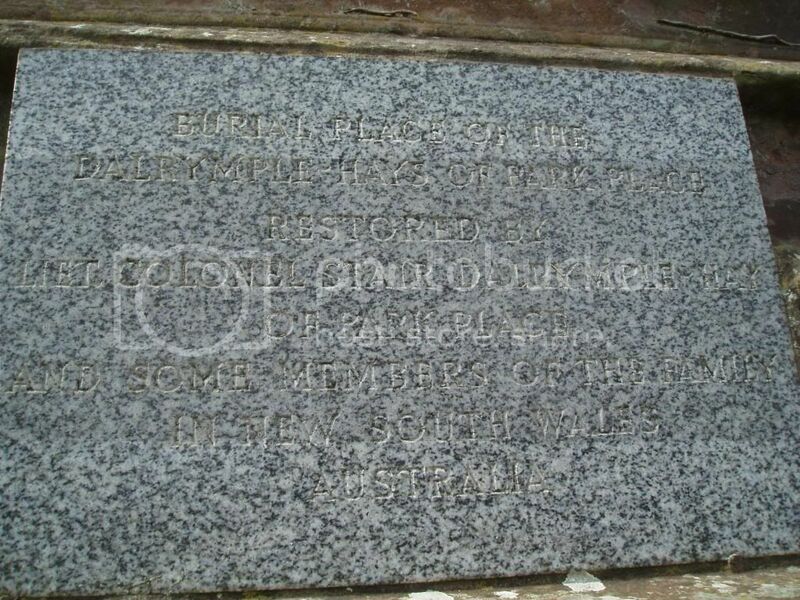 Burial place of the Dalrymple-Hays of Park Place restored by Lieut Colonel Stair Dalrymple Hay, Park Place and some members of the family in New South Wales, Australia. 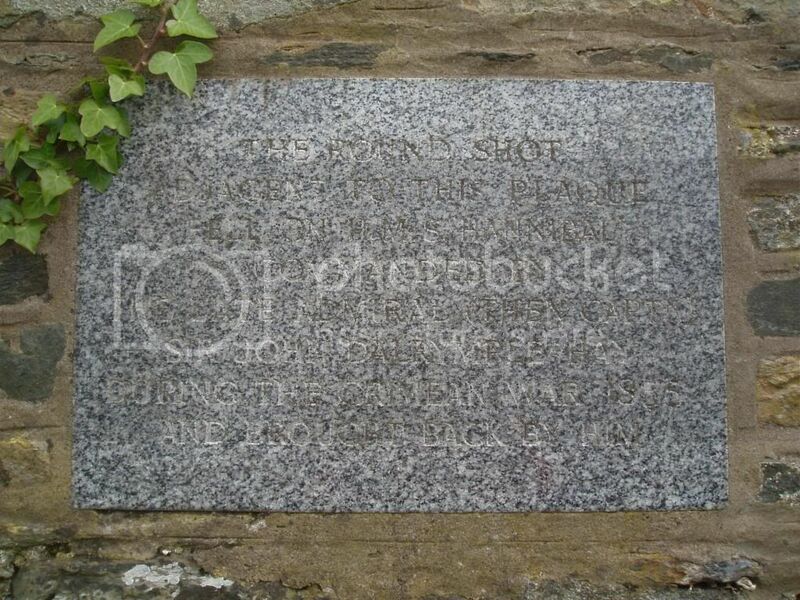 (marble tablet next to the car park). In most loving memory of Commander C Dalrymple Hay DSC RN. A most gallant sailor who died at Liverpool 20th December 1944. Also in memory of Laura Dalrymple Hay whose ashes lie in the family grave. Rest in Peace. Gus am bris as latha. The round shot adjacent to this plaque fell on HMS Hannibal commanded by the late Admiral (the Captain) Sir John Dalrymple Hay during the Crimean War 1855 and brought back by him. The Wigtownshire Free Press (27/1/1916) reported the death of Robert Morland: Private Robert Morland, 2nd Battalion, Scots Guards, died at his home at Glasnick Crossing Cottage. Private Morland joined the Army shortly after the outbreak of war. Having been invalided home, he lay very ill for a long time before his death. 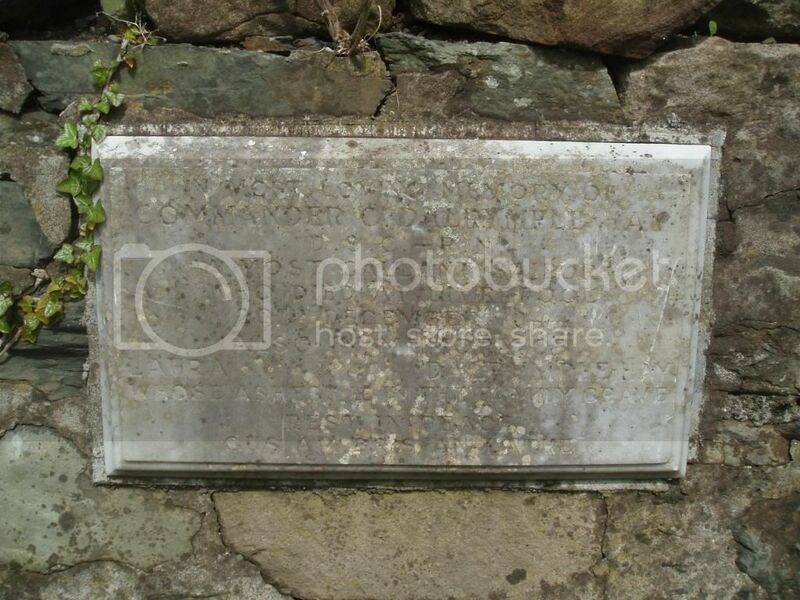 He was buried at Glenluce Churchyard. Mike - this guy caused a lot of hassle a while ago. Just to explain my concern about the family name. Robert (of the Scots Guards) was recorded just about everywhere as MORLAN. 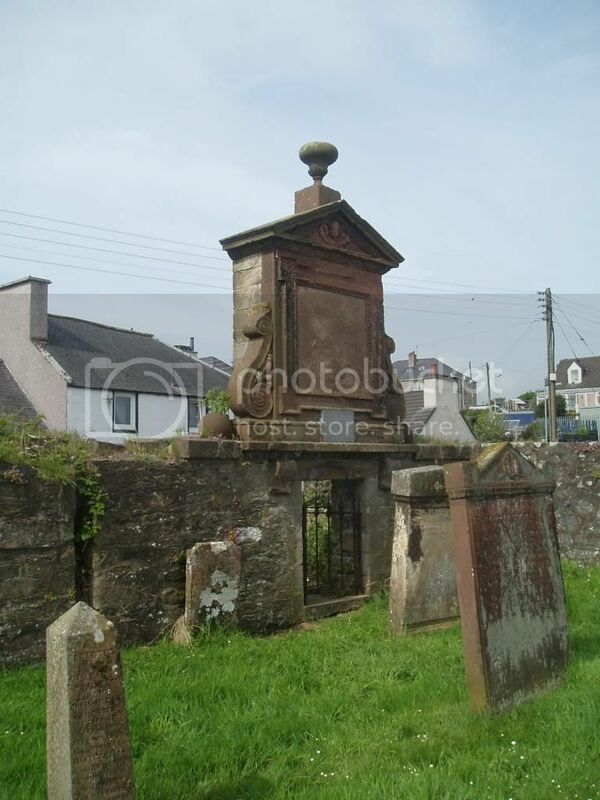 However newspaper reports of his death also use MORLAND and he is listed on the Kirkcowan WM as Morlan but on the (next door) Penninghame WM as Morland. 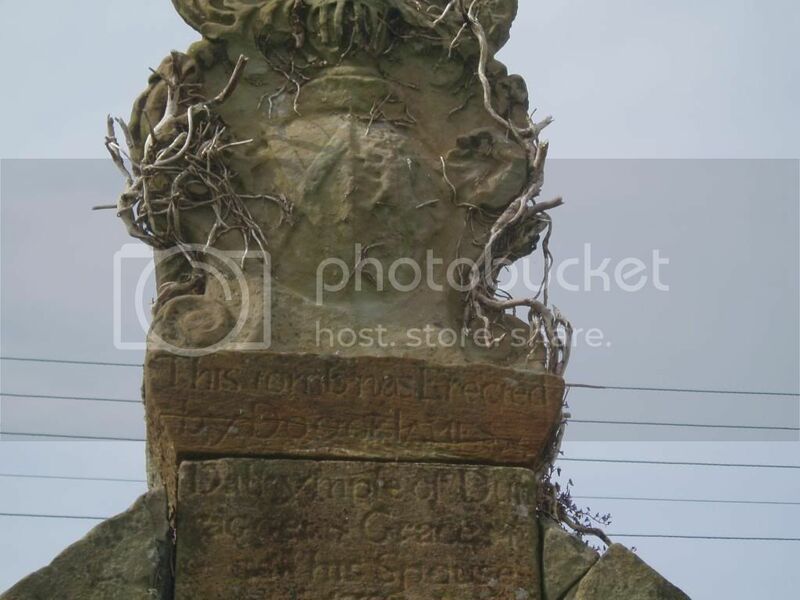 His father (also Robert) at various stages is recorded as MORLAN and, as on the gravestone, as McMORLAND. It was only by tracking the family through from the 1880's that we were sure that this was the same man.